Another good one. The elements of '60s-style "mod" spy aesthetic (the red-masked bankers, the guys in the vault) are a fun change of, the remote-control eyeball-implants are an ingenious plot device and it's good to see Agent Ward actually display some of those super-spy skills they kept telling us he possessed. I'm still a little disappointed that Agent Amador didn't become a recurring character, since her presence and backstory with Coulson were both interesting and played well. Considering how important Raina became in later episodes, it's a little surprising how muted an impact she makes in her debut. 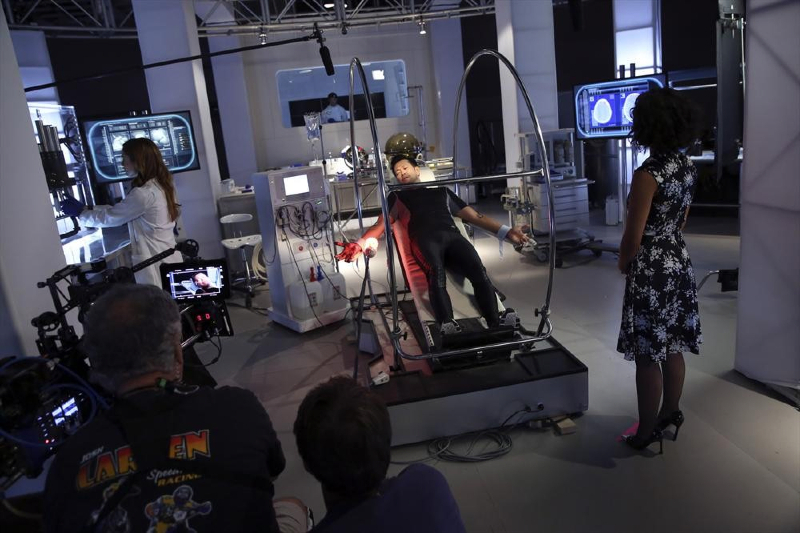 It's still a solid episode, mixing lots of much-needed worldbuilding about how the presence of superhumans on Earth is both managed by S.H.I.E.L.D. and integrated into the broader "normal" world with a good standalone story about CENTIPEDE tricking a well-meaning super into becoming the would-be villain "Scorch" for dubious reasons. The B-story, in which we (finally) learn that Rising Tide was just an invention of Skye's to seek help in cracking S.H.I.E.L.D. open to look for info on her redacted childhood, is a good payoff to that whole through-line but feels like it's coming too late - now we have to do the "earning trust" arc again - but I'll still give them points for making Skye's screw-up a genuine disaster instead of a minor "oops." This is a weird one, in retrospect; starting out so-so with the show and the characters in full-on X-Files-wannabe mode investigating mysterious self-electrocutions with a sort of uncomfortable "topical" twist: the victims are volunteer firefighters who've contracted an "electrical virus" from a Chitauri helmet scavenged as a souvenir when they assisted at The Battle of New York - an obvious echo of mystery health problems that plagued 9-11 first-responders. 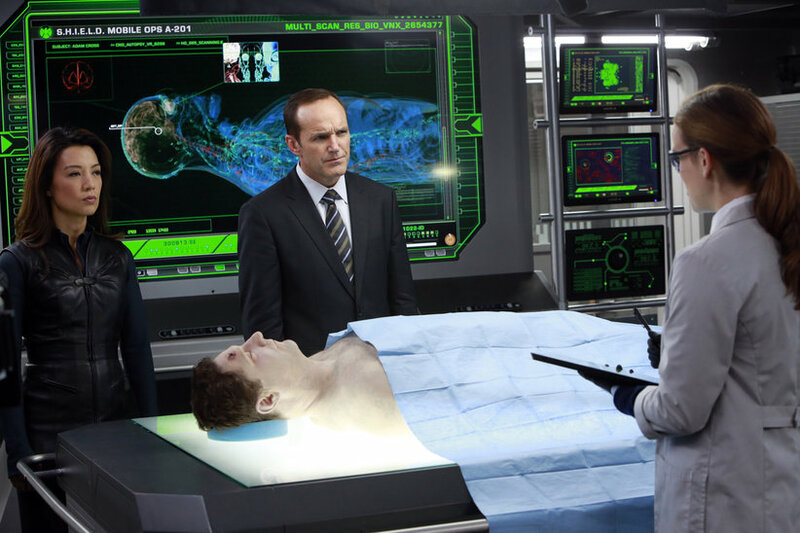 There's a good dramatic beat for Clark Gregg, but otherwise it's kind of a wash. However, when the plot rolls over to its main focus (Agent Simmons contracts the virus and now has mere hours to cure herself) it gets a lot stronger. Good "serious" scenes from everyone, and a final "rescue" beat for Ward that still works even if we now know differently about his overall intentions. And here's another episode that really only exists to introduce a new location (the titular "Hub,") a new character (Saffron Burrows as the sadly soon-to-be underutilized Victoria Hand) and to give Ward and Fitz an obligatory "bonding" episode so that Fitz's later structurally-necessary role as the lone Agent who won't accept the truth about Ward has some kind of background. Yeah, it's cute to see the usual team structure upended, but very little comes of it. What's strange is, it feels like it was supposed to be an important episode. Hand is a major character from the comics, but the role she ends up playing on the series could've been filled by any made up beaurocrat. Sure, the fact that she seems like a long-term player makes her ultimate fate a nicely-executed bit of misdirection, but it still feels like a miss in the interim. Nothing really comes of the duo-swapping between "Skyward" and Fitz/Simmons, which is supposed to be the center of the story this time, save for Fitz's aforementioned fondness for Ward... and even that never actually comes up again until the post-Winter Soldier turnaround. 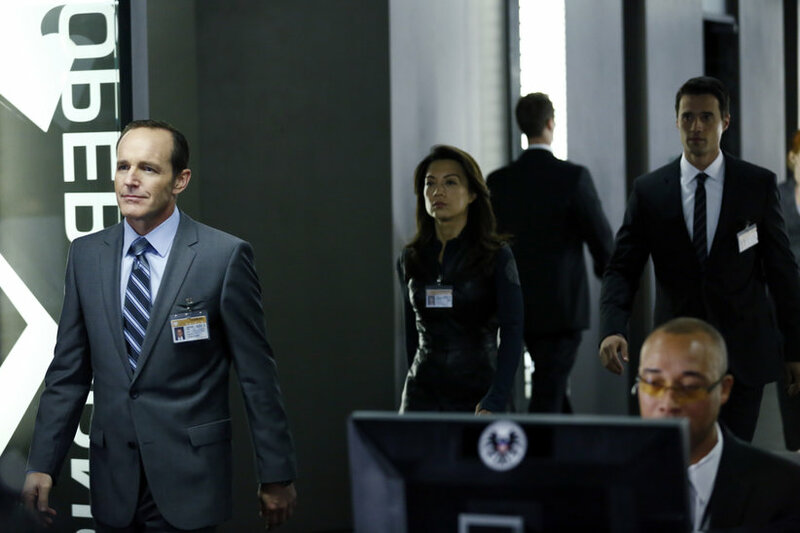 The Agency gets more nuanced, Skye's backstory starts unfolding and Coulson finally starts getting his answers ... but how does it hold up now?